Weather: Offshore winds, dark and light, patches of quiet and gusts. Observations: Bladder campion, rock pipit, roses Porth Twr Mawr, spider crab shells huge and tiny, sand-drifts and shell shards, gulls and oystercatchers chasing away crow from Ynys yr Adar, terns and guillemots fishing, tiny cuttlefish, stonechat, lesser speedwell, common vetch, cranesbill, hawksbit and deep indigo scent of the bluebells. A day with pockets of calm and gusts to stop you in your tracks and many many crab shells and remains. 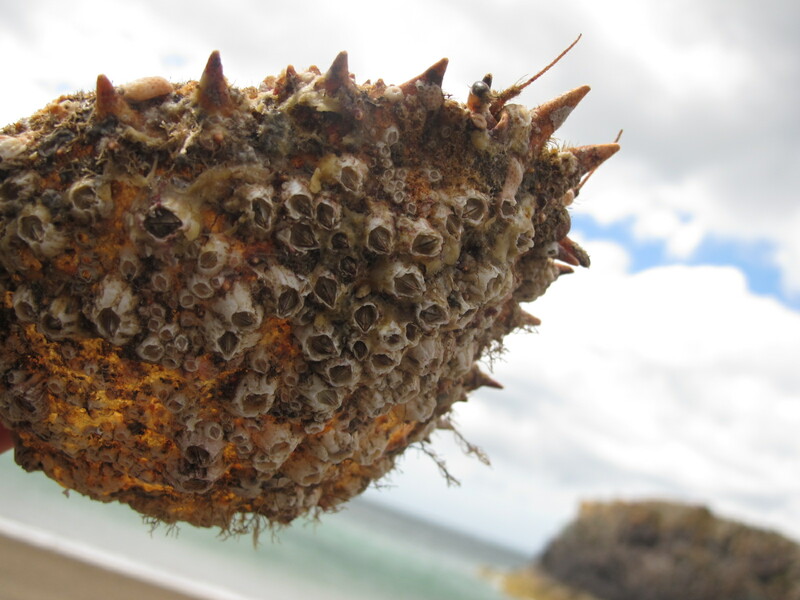 One particularly magnificent spider crab was bowl like in proportions and resplendent in barnacles and sponges. There were also various crabby ‘undercarriages’ – beautiful jointed armour plating. Also a sea-worn pine-cone – scuffed back to its core and a few feathery scales at its base – revealing new layers of textures. 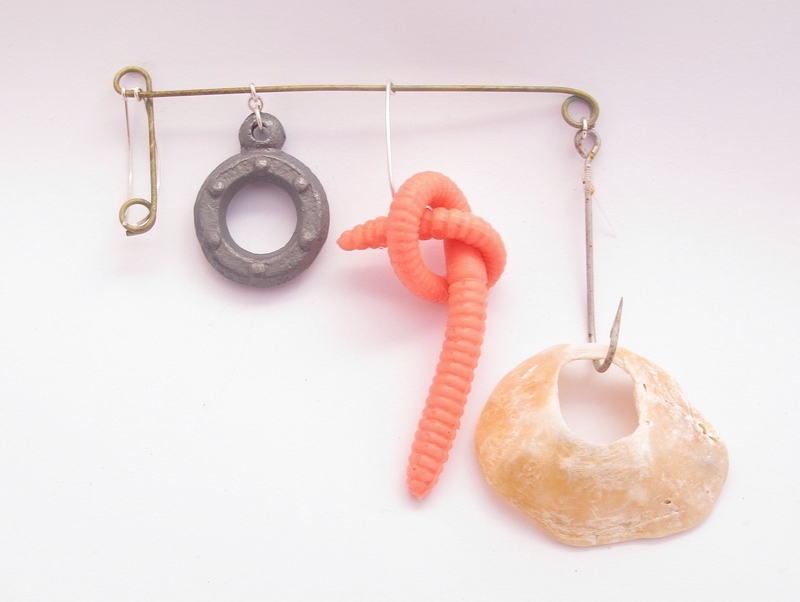 My quick piece of jewellery is made from bits of fishing tackle found on different beaches including a fake worm.